Ann Mary School is from one of the most reputed schools in the city of Dehradun. 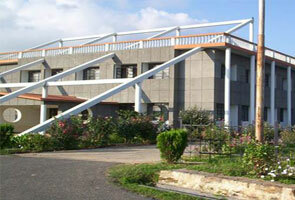 The school was established in 1985 by Dr. Deepak Arora and his wife Mrs. Silvia Anna Maria who is a German lady. The school was named after the Anna and Maria- two Grandmothers of Mrs. Silvia. Considering the easy pronunciation of Ann Mary for students, the couple decided to name the school Ann Mary. Dr. Arora the founder of this school was born in Haridwar, Uttarakhand. He matured in Dehradun and completed his schooling from St. Joseph’s Academy and done higher studies Cambridge. 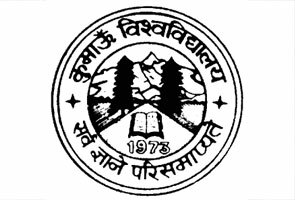 The school is situated at General Mahadeo Singh Road in the city of Dehradun district of Uttarakhand, India. It received the affiliation from Council for the Indian School Certificate Examination (CISCE). It believes in complete growth of the students by balancing academics, extra-curricular activities, and games in the state of art infrastructure within the campus. Ann Mary School is a senior secondary school providing a wide scope of education and co-curricular activities. The school gives a big playground for cricket, volleyball, badminton, basketball, table tennis, and other sports. The admission procedure for Ann Mary School starts each year in May month and School opens in July. The School is a nursery school, high secondary school, primary school, and senior secondary school. Initially it was started as a kindergarten and now it is counted amongst one of the best schools of India. Up-to-date electronic learning equipment such as computers, digital movie cameras, LCD projectors, etc. is used for making education more attractive, cooperating and easy to learn. Request for registration of names for the admission of your child should be made during the time when registration process is start. For your child admissions in Ann Mary School parents should need to perform below steps: 1. 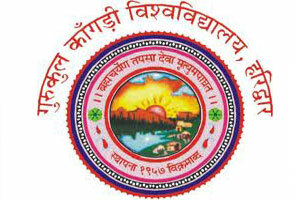 Fix an appointment with admissions office of this School. 2. Get registration application form from School office or download it from school website. 3. Complete registration form and submit with required documents to school admission office. 1. The age limit for Nursery admissions is at least 2 years and 6 months as on 31st may. 2. The age limit for class 1st is 5 years and 6 months as on 31st May. Once you have submitted the registration fee it could not be either refund or transfer. After registration, an appointment letter with the child will be offered to examine his/her capability. After completing this procedure the school will be made the decision about admission. Play Class or PKG is a reception class for school beginners. Minimum age limit required for the admission must be from 2 years and 6 months as on April 1st of the year. Limited age mandatory for the admission should be 3 years and 6 months as on April 1st of the year. Minimum age mandatory for the admission should be 4 years and 6 months as on April 1st of the year. Minimum age essential for the admission must be 5 years and 6 months as on April 1st of the year. Add 1 year for each higher class. In all classes, excluding PKG and CL I, students are only admitted as per the vacancies available. Study in Ann Mary School is not restricted by only key stream subjects. There is a massive scope of artistic and interactive subjects. The Subjects presented in Ann Mary School are Hindi, English, Sanskrit, Foreign languages like French, German etc., Physics, Mathematics, Chemistry, Biology, Computers, Environmental Education, History/Civics, Environmental Science, Geography, Psychology, Economics, Art, Accounts, Dramatics, Music/Singing, , Elocution, Sports, Yoga, Chess, Dance, Socially Useful and Prolific Work Assertion. Activities like Drawing Competition, Inter-House Music and Dance Competition, Inter-School One Act Play Festival, Inter-House Poetry Elocution, Annual Walk to Mussoorie with all student of Class XII, Inter-House Debate Competition, Annual Sports Day at Riverside Playgrounds in Jhajra and Kindergarten Festival are held each year in Ann Mary School. Basketball, Cricket, chess and football competition are also conduct each year to enhance the talents of the students other than study. The School has been enthusiastically playing an important role in maintaining forests since 1993.